Ten years ago, Freda was spending a Sunday afternoon entertaining guests at her far South Side Chicago home when a sheriff came to the door and delivered a foreclosure notice to her brother-in-law, Barry. The deed to the property was in Barry’s name and Freda and her husband had no idea he’d taken out another loan on the home and had fallen behind on his mortgage payments. Freda and her husband gave Barry the money he needed to catch up on the payments, but this would not be the last time that Barry jeopardized the home they’ve been living in since the 1980’s. Freda said she would have moved out of the house already, possibly to a nicer home in a better neighborhood, but her husband now has minor dementia and was very upset when they moved away for just three days. Freda believes her husband would be lost in a new environment after spending over 30 years in the same home, and said that he was so excited when they came back; he went to visit all of his neighbors right away. However, years later, Freda was unaware that Barry had fallen behind on the house payments, yet again. Freda never opened Barry’s mail and he kept her and his brother in the dark about his financial troubles. 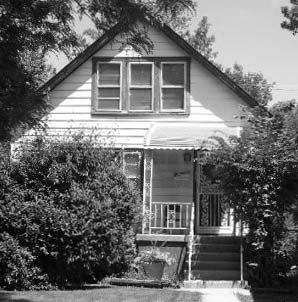 When a letter came to the house from American Homeowner Preservation (“AHP”) addressed to the occupant of the home, Freda discovered that Barry had now lost the home to foreclosure and AHP now held the title. Freda did not want to tell her husband because it would only upset him, so she told Barry that he had lost the house and she was going to work with AHP to buy it back. “I am grateful that you guys did send us a letter. I didn’t want a truck coming to put me out on the street.” Freda said. In working with AHP, Freda discovered she could buy the property back for $22,000 but she needed her retirement funds to come through first, which was going to take over a month. She said that AHP’s CEO was willing to give her the time she needed to come up with the money. “He didn’t have to do that; I do appreciate that and I think it’s something great you’re doing.” Freda said.